Think it's a dental emergency? Are you in pain? Suffering an injury? Is your regular dentist booked up? Is it a weekend or holiday? If you've chipped, broken, or knocked out a tooth, prompt attention can prevent irreversible damage or full loss of the tooth. 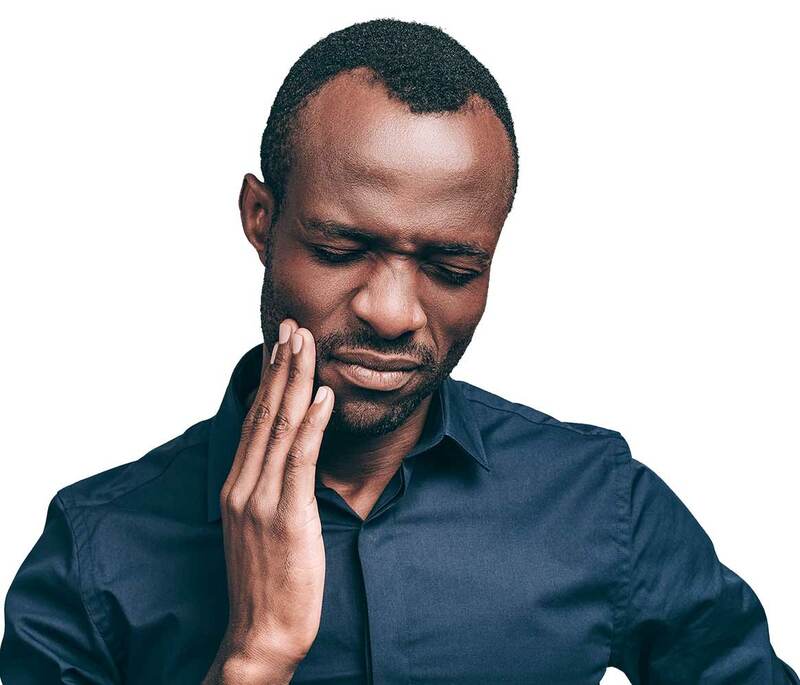 If you're experiencing tooth pain or mouth pain, that means something is wrong and you should seek immediate help. If your condition isn't treated promptly, or assessed at minimum, then your pain is likely to worsen. Since your body is affected by your dental health, an untreated condition in your mouth could also lead to greater health concerns. To ensure you aren't putting your dental or overall health at risk, and to limit the possibility of permanent damage to your teeth or gums, it's recommended that you seek immediate help if you're suffering from any of the emergency conditions below. Contact Emergency Dental YYC now to get help! Our team is skilled, professional, compassionate and supportive. We specialize in emergency dental care + urgent treatment. We understand the discomfort or extreme pain you might be experiencing! And we can help you ... today! Our highly qualified team members do everything they can to relieve your pain and solve your dental problems. Cases where we can't help are few and far between. "Our commitment is to quickly respond to your concerns, provide a prompt and effective resolution to your dental problem, and offer treatment that's as gentle as possible." Unlike other Calgary clinics, we're available after-hours to hear about your situation and ensure you can get prompt treatment at our clinic, and we're open 365 days a year. Just like your regular dentist, the dentist & team that will assist with your care at our clinic are fully qualified and will base your treatment on the highest standards of care. We understand the pain and distress that you're experiencing, because emergency dental treatment is all we do. Get help now, from a clinic that will listen, care, and relieve your pain. Right next to the 39th Ave C-Train Station. Free parking available day or night. Our clinic is equipped with all of the dental technology you expect from your regular dentist. We provide treatment in a safe, clean, sanitary and professional dental environment. Get back on track. Stop the pain. reduce your risk of further pain or harm. Get relief for your dental emergency today, and reduce your risk of further pain or harm.